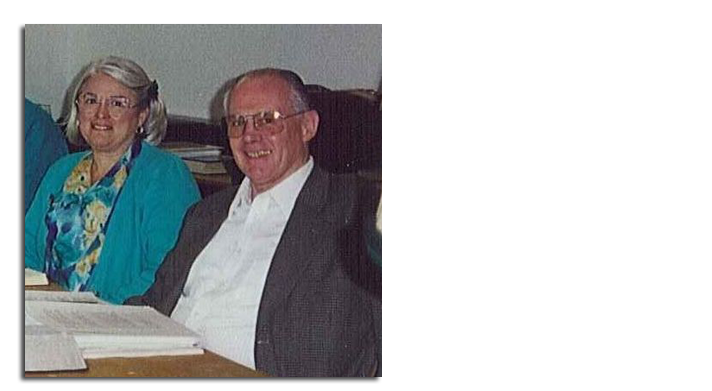 Karen Jobes and Ken Barker at the 1998 Committee on Bible Translation meeting in Mittersill, Austria. Barker served as the committee’s secretary from 1975 to 2004 before passing the torch to Jobes. Ken Barker was too busy to give much thought to Ed Palmer’s request. Palmer, executive secretary of the Committee on Bible Translation (CBT), had asked him to join the translation effort on what would become the New International Version of the Bible. Barker quickly turned him down. Between teaching, editing and writing commitments, he did not have the time. A year later, in 1971, Palmer called again and told Barker that a committee would be working on the book of Hosea during Barker’s spring recess from the seminary. Would he come this time? If Barker still wasn’t sold on helping with the translation after those two weeks, he could back out, and Palmer would never bother him again. The initial two-week side job turned out to be part of Barker’s calling for the next 40 years. Barker and the other translators and committee members started every session with prayer, asking for wisdom and help in achieving the desired balance between word-for-word and thought-for-thought translation. They wanted to be faithful to the Bible’s original languages and the English language, and respectful of the Word of God. This approach came into play when they reached passages such as Leviticus 13-14, where the Hebrew word ṣāra ‘at appears. Though translated as “leprosy,” the word refers to a number of skin diseases in addition to leprosy. In context with clothing and houses, it can also mean mildew or mold. In 1974, Barker was asked to join the CBT, which had the final say on each word in the translation. A year later, he was appointed its secretary and recorded every translation and editorial decision. The days spent working on the NIV began early, before breakfast, with only a few breaks. The work was rigorous and unrelenting. When the translation was completed and the final page proofs arrived from Zondervan, the CBT members proofread every page. They keenly felt the responsibility to do their best to keep the text as free as possible from substantive and typographical error. The 1978 release of the entire NIV Bible was a momentous occasion representing years of effort, but the work didn’t end there. The CBT was intended to be an ongoing committee that would continue to review advances in biblical scholarship, changes in English language usage and archeological discoveries. Barker served on the committee until 2011, decades past his initial two-week stint, seeing the NIV through multiple revisions and working on other NIV resources and versions, such as The NIV Study Bible and The New International Reader’s Version, a Bible based on the NIV that was intended for young readers and those for whom English is a second language.